The Denver Metropolitan Major League Baseball Stadium District (the District) is a corporate body and political subdivision of the State of Colorado established pursuant to the Denver Metropolitan Major League Baseball Stadium District Act, Article 14, Title 32 of the Colorado Revised Statutes, as amended (the Act). The District currently includes all or part of the seven counties in the Denver metropolitan area. 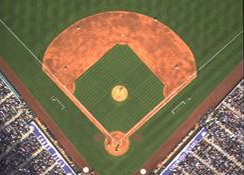 The District was created for the purpose of acquiring, constructing and operating a major league baseball stadium. The Act authorized the District to levy and collect sales/use tax as of August 1, 1991 of one-tenth of one percent throughout the District to assist in financing the acquisition and construction of the Ballpark. On January 1, 2001 the District discontinued the levy of the sales tax upon the final defeasance of all of its outstanding debt. On July 5, 1991, Denver, Colorado was awarded a major league baseball club franchise by the National League of Professional Clubs. The Denver Metropolitan Major League Baseball Stadium District is governed by a Board of Directors of seven members who are appointed by the Governor of the State of Colorado, and who serve without compensation. Denver Metropolitan Major League Baseball Stadium District is happy to support 501(c)(3) organizations and preK-12 school groups by offering the use of the District Suite and tickets to qualified organizations. Over fifty dates will be available each baseball season for such charitable organizations and schools. Requests for use of the suite and the tickets can be made by filling out the requested contact information about your organization in the attached link. Qualified organizations will be contacted as to the date the suite and tickets are available for their use.